There has been a lot of complaint lately about infantry in buildings being too effective as a form of static defense -- they have incredible stealth, and carry some of the most effective anti-tank and anti-helo weapons in the game. Furthermore, infantry inside buildings is incredible resilient against infantry approaching their position, supposedly due to the protection that a thatch, wood, cinderblock, or possibly even concrete wall provides against small arms. Unfortunately, most of the suggestions so far have centered around complaining about buildings, saying that they are either too effective, or too common, or just poorly situated; however, I think that this reasoning is too restrictive, and would like to propose an alternate solution. Thus, I present to you: Mobile Houses. Though the idea had been around since the beginning of written human history, the idea did not truly reach it's full potential until it was combined with modern industrialized mechanics. Early "siege houses" were primitive constructions of wood and hides. Though these structures provided adequate defense against the slings and arrows of ancient armies, they opened themselves up to attacks from primitive napalm and artillery (which would both prove to be the bane of houses everywhere for the rest of history). An escalating competition between these "mobile houses" and static defenses like piles of rock, holes in the ground (sometimes filled with water) and even the occasional trees led to continued advancement in the complexity of the houses. With Gunpowder, sadly, Artillery became too "OP" for the mobile house to be of much use, as they would be quickly demolished due to their relatively low AV. Deprived of their houses, battles devolved to waves of men lining up in fields shooting at one another. This devolution to "infantry spam" warfare was a low point in modern tactics, as it was completely without the nuance or strategic flair the buildings would add. During this period, the bloodshed would become enormous. 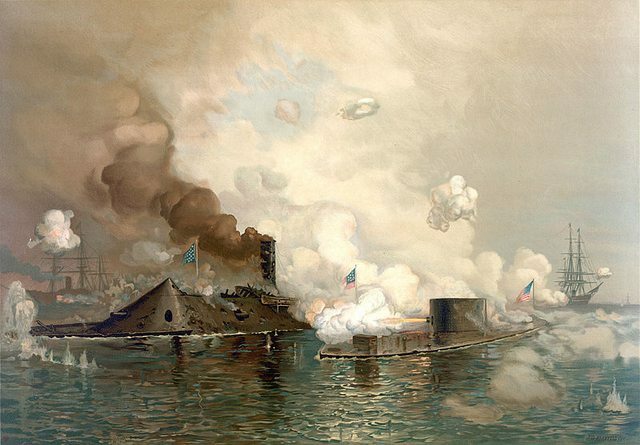 Infantry battle during the American Civil War, involving the rare House Boat. Note how closely this would come to resemble building-to-building fights in Wargame today. One of the few exceptions here was the emergence of "house boats" -- houses which, due to their displacement and relatively low weight, were able to float on top of water despite their heavily armored nature. These houses moved not by man- or animal-power, but by taking advantage of newly developed industrial machinery. These machines used power generated by burning fuel to push the houses around the water, giving them unprecedented mobility for a house. Even more important, many of these house boats combined the inherent utility of a house with the OP-ness of artillery by mounting one or more guns on them, making them formidable war machines. A contemporary "mobile house" from the early 20th century. This period saw a dramatic increase in the number of mobile houses used in battle, leading to a variety of experiments in capabilities and tactics as commanders explored their use. Note this picture, for example, where German soldiers seem to have yet come to understand the importance of being inside the house in order to maximize protection. This trend of mechanization continued for decades, culminating in the early 20th century which saw two World Wars which would truly test the soundness of "mobile house warfare" and ultimately prove it's dominance. World War II in particular saw massive destruction of traditional "static house" cities through aggressive bombing and artillery campaigns; however, the "mobile house" regiments were able to survive largely unscathed, thanks to their capability to move and avoid incoming fire. Furthermore, their "mobile" nature let them constantly be a part of the front-line, wheras traditional house tactics would leave men in nearby cities uselessly separated from the battle. Another example of an early 20th century house. This model is generally considered to be rather inferior as its massive artillery and thick armor leave very little room for men inside, making it a terrible house. This line of thinking would prove to be generally useless over the remainder of 20th century warfare, which is very clearly reflected in Wargame. 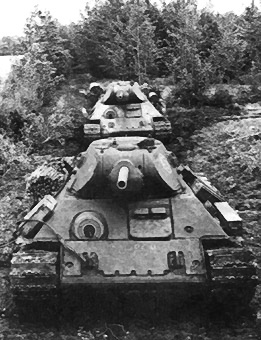 During this period, experiments were made newly developed engines and armor, providing varying degrees of both "mobility" and "houseness". Some one-off designs (which now seem ridiculous to us in hindsight) dropped the house concept altogether to allow for the addition of heavy artillery turrets and massive armor to the sides. These designs could not house many men, however, and were ultimately not very good. After World-War II, nations around the world continued vigorously developing their own mobile house technology. By adding layers of steel plating or lightweight reinforced aluminum, these mobile houses were able to provide protection from blasts and small-arms fire easily equivalent to light concrete walls. Some of the more ponderous mobile houses from the "heavy armor + artillery" line of thinking were even able to survive direct hits from heavy artillery, which would prove useful to the few backwards armies that employed the machines. A rare glimpse of the modern "Mobile House". 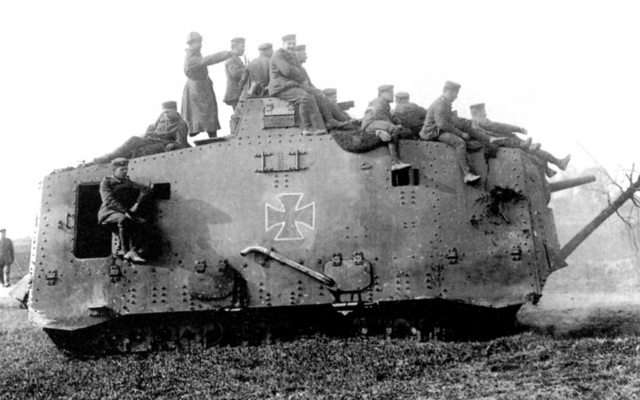 Note that it even has windows on the side, giving it all the comfort and utility of a house, with the flexibility of being able to operate anywhere on the battlefield. Unfortunately, this technology seems to be often overlooked in modern warfare simulations, Wargame included. While it's true that a combination of Airpower and house-to-house warfare is a much common site in many modern wars such as the occupation of Iraq, it's not clear that this would have been the case for the hypothetical "cold-war-gone-hot" scenario that Wargame depicts. 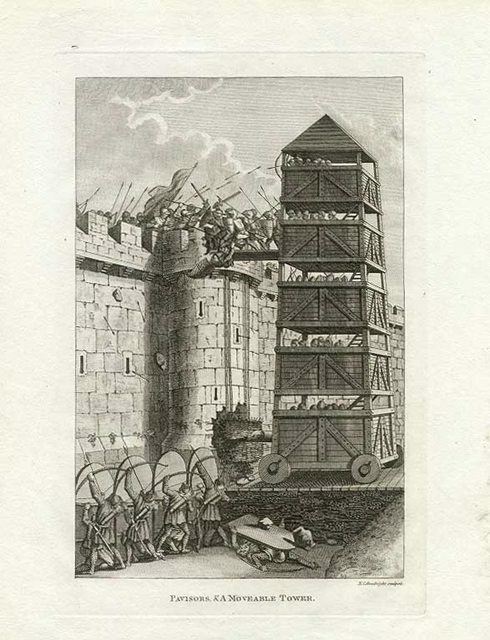 I think that the inclusion of some kind of "mobile house" unit, which provides the same armor and protection as a building but is able to reposition itself around the battlefield for troops to occupy, and which has been a part of military doctrine for literally millennia, would be important to include. I know that the US at least experimented with this design, and may have a few deployed prototypes that they can point to. I imagine the USSR does as well (since they had all sorts of weird tech) although other minors might not possess the same capability. Still, it's probably not fair to deny the US and USSR "mobile house" capability simply because other nations would lack it -- after all, "no one gets everything". I disagree with the premise that infantry in buildings are too strong, because afterall if a tank could roll into a city and sweep infantry out, what would be the point of using infantry? It's actually well balanced right now, most people just don't have the knowledge or skill to deal with entrenched infantry. Secondly, I don't even know what you're asking for. Your post is rambling and scarcely coherent. 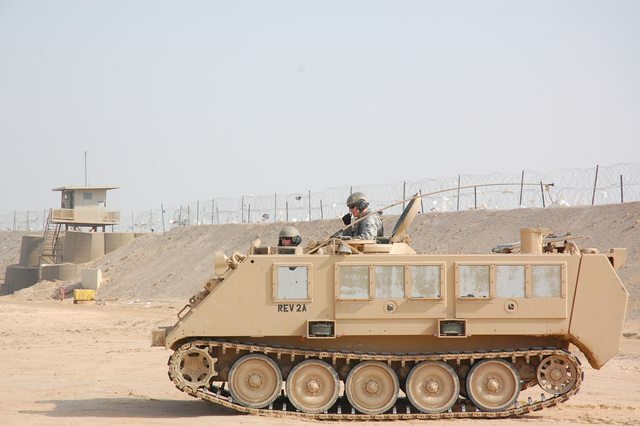 You put a picture of what appears to be an M113 with windows, and think that introducing an M113 would somehow help the game balance by making infantry more durable? Ignoring the fact that the game already has all the 'mobile houses' you could want? When I saw the topi "mobile houses" I assumed he was talking about mobile homes. I don't know, seems that it could mean significant changes, yet also fixes if implemented well. If it improves gameplay then I am all for it, but I think it will need a lot of testing to integrate it properly. Eugen would definitely have to extend the beta or run a second round of closed testing if they added this, and being a small company I am not sure they can afford to add all the required models. Ah it'll probably get shouted down anyway by people with no argument but incoherent rage (I'd hate to see the general forum's reaction to this suggestion), but I'll support this as a worthwhile experiment to change up the gameplay and revitalize the series. - Where will these mobile houses be on the map? - Will they move around by themselves, or will I have to move them? - Can I fly heliborne infantry to them in the beginning of the game, and then not move them? Again, excited to hear more ideas like this. I'm already thinking about the possibilities of deploying manpads, atgms, and even recoilless rifles in these mobile houses. Then I can use multiple mobile houses to carry different kinds of infantry that will support each other, but all together, like a well-garrisoned town. I only hope ATGMs will not be able to target mobile houses, as that is a current regular house's primary advantage over tanks and other armored vehicles. I remember seeing mobile houses up in the air with stuff that looked like rotor blades. What are your opinions regarding those???? Ever since World War 1 where IMHO the last true "mobile houses" fought, we've regressed. Modern battlefield has certain demands and thus the noble tradition is replaced by tiny, cramped "battle boxes" that barely deserve a mention. Certain innovative thinkers have developed the idea further, though. Maybe Wargame could integrate the concepts? Also, as a prototype unit maybe flying houses could be implemented. The idea is certainly common enough in fiction (see: Up), but I haven't researched it enough to know if it's viable. It would make the opening AAGH easier, allowing both sides to go MEH as soon as they hit launch.